After your arrival in Tehran, you will be met by or representative for the transfer to your hotel. The morning is at your leisure to relax. After lunch, begin your tour of Tehran. Visit the Crown Jewels Museum with its impressive collection of precious gems and dazzling works of art. Continue on to Sa'dabad Palace and the Museum of Reza Abbasi, named after the most famous miniaturist of Safavid era. The museum, opened in 1977, exhibits artifacts dating back to prehistoric and Islamic periods, and is particularly rich in calligraphy. Depart by surface to Gorgan. Gorgan is both the name of a town and an ancient region in southeast of the Caspian Sea. Gorgan, as capital in Golestan province, northern Iran enjoying mild climate. It is situated along a small tributary of the Siah ab River, 37 km from the Caspian Sea. Having more than 6000 years old civilization, passing historical ups and downs, possessing a creative culture, Gorgan has attained a very high status in Iran's splendid history and civilization. You will also enjoy visiting Turkmen- Sahra. Leave Gorgan to Mashhad and become familiar with the local people there. Mashhad is the city where the Shiite Imam Reza was martyred and thus is an important site for Shia Muslim pilgrims. Full day city tour in Mashhad (Imam Reza Holy Shrine, Ferdosi Tomb, Nader Shah Museum). Full day tour to visit the ruins of the old city Toos and excursion to Neishabour, visiting feet print of the 8th Imam , Khayyam, Attar, Kamalolmolk and Imamzadeh Mahrouq's shrine. Fly to Chabahar, In the Ease Southern of Iran, beside the Pakistan border and also beside the Oman Sea and India Ocean, the beautiful Chabahar port is located. Chabahar is officially designated as a Free Trade and Industrial Zone by Iran's government. Due to its free trade zone status, the city has increased in significance in international trade. Chabahar is a collection of beauties as it has beautiful and clean sea shores which have waves with 30 meters high in some seasons. It has beautiful mountains that are famous as Mars Mountains. The wonderful and rare flora and fauna of the region make Chabahar a marvelous port. Among the attraction of the region we can mention Darya bozorg which is one of the beautiful sea shores of the region which its long waves create a marvelous perspective, Pasa Bandar that is the last southern port of East of Iran, Mud Volcano which is a place created via the change in the earth. Another one is Mars Mountains which is a beautiful attraction and amazed all visitors. Move toward Bandar-e Abbas. On the way visiting Jask, Minab. if possible visiting thursday Bazzar in Minab in orther to become familiar with the lifestyle of Balouchs who inhibited beside the Persian Gulf and Oman Sea. Qeshm Island is one of the largest islands of the Straight of Hormoz, in the Persian Gulf, with a unique geological and natural Status. With an area of 1445 km2 circumference of approximately 362 km, and a length of 122, Qeshm island is located along Iranian main land. From geo-botanical point of view it is based along the stripe of northern hemisphere tropical plantation. This strip in Iran begins from Hormozgan to Sea of Oman and from Ghasre-Shirin to Guatre harbor. The Qeshm city is within a distance of 22 KM from Bandar Abbas. The northern coast of the island is covered with mangrove forests which are dispersed in Iran in northern coasts of the Persian Gulf and Sea of Oman from Kangan bay, Sirik to Khamir bay, Qeshm Island, Minab and Laft in Hormozgan province and Jask gulf of Chahbahar and Guatre gulf in Baluchestan province. However, the largest concentration is in the northern coasts of the Qeshm Island. You will enjoy becoming familiar with warm and hospitable southern people. The historical Bam, in an altitude of 1000 m., is a half dead, half living town 195 km. to the southeast of Kerman. Once a famous citadel and a strategic stronghold, the old Bam has been built on a huge rock mass at the northeast of the living town, and is a city mounded in the red clay of the Great Iranian Desert, Dashte Kavir. You will have the chance to visit the city and become familiar with its people. Kerman, a land of mountains and deserts set in the tranquil desert, Kerman has a long and turbulent history. The old part of the city has the famous Friday Mosque dates back to the 14th century. You will enjoy your full day tour in Kerman to visit the city and its people. Located in the heart of Iran between the Kavir and Lut deserts, Yazd was a major stop on the international caravan routes to Central Asia and India. Marco Polo visited Yazd on his way to China. The architecture of Yazd is perhaps the most traditionally Persian to be found anywhere in Iran. Full day city tour in Yazd. Visit the Zoroastrian Towers of Silence, and the Fire Temple, whose fire has allegedly burned continuously for over a thousand years. Also, pay a visit to the Doulat Abad Garden with its clever ventilation shafts, known as badgirs or "wind towers." In the afternoon, visit the local famous Jameh and Mir-Chakhmaq Mosques and its people . Move toward Bavanat, one of the rural villages near Shiraz. Bavanat is a city of old trees, fresh springs and historic buildings. You will have the chance to spend a night in a local house there to become familiar with an Iranian rural family living along the desert. You can enjoy your time visiting the Imamzadeh Shah Mir Hamzeh Shrine, Mohammad Hanifeh recreational place, some old trees and springs. 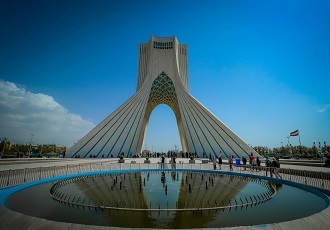 Shiraz is the capital of Fars Province and is traditionally known as the city of Roses and Nightingales, but has become known in recent times as a seat of intellectual learning. It was home to Sa'di and Hafez, the famed Persian poets, and is considered the cradle of Persian Civilization. Enjoy a full day tour with visits to the Eram Garden, the tombs of the Persian poets Saadi and Hafiz, Nasirol-Molk Mosque, Afif-Abad Garden, the Church of Saint Simon the Zealot, Vakil Mosque, and the Shrine of Shah-Cheragh "King of Light", noted for its dazzling mirror tiles. Persepolis, which in Greek literally means the capital of Persia, lies 36 miles north of Shiraz. Persepolis is the last and ultimate expression of the ancient Middle East. Construction began by Darius the Great (521 - 468 BC) as the focus of the mighty Achaemenian Empire nearly 2,500 years ago. Spend a half day exploring these mighty ruins. Today's tour also include the Kuh-i-Rehmat, Nagsh-e-Rustam (Tomb of Rustam) and Nagsh-e-Rajab. Fly to Isfahan in the afternoon. Today's full day tour includes Hasht Behesht, Vank Church, the spectacular and historic Friday Mosque as well as the famous bridges. In particular, the "33 arch bridge" or "Si o Se Pol" dates from 1602 and is a colorful meeting place for locals to gather, drink tea, and refresh themselves. You will be given the chance to become familiar with people in Isfahan by visiting the public centers in this city. Move toward Abyaneh and on the way you will also visit Natanz and Kashan. Abyaneh, is one of Kashan's famous nearby village. You will stay in the historical village of Abyaneh overnight and have the chance to become familiar with the culture and tradition of its people. Move toward Tehran and enjoy a half day tour in Tehran with visits to the Golestân Palace, known as the "Rose Garden". Constructed as a residence during the Qajar Dynasty, the Palace complex offers an oasis of silence and shade in the heart of Tehran. The last two Pahlavi Kings coronation ceremonies were held in the Palace, and much of its former splendor is on display. Your final afternoon in Tehran is dedicated to going to the movie and you will enjoy having a drink in a Coffee Shop.